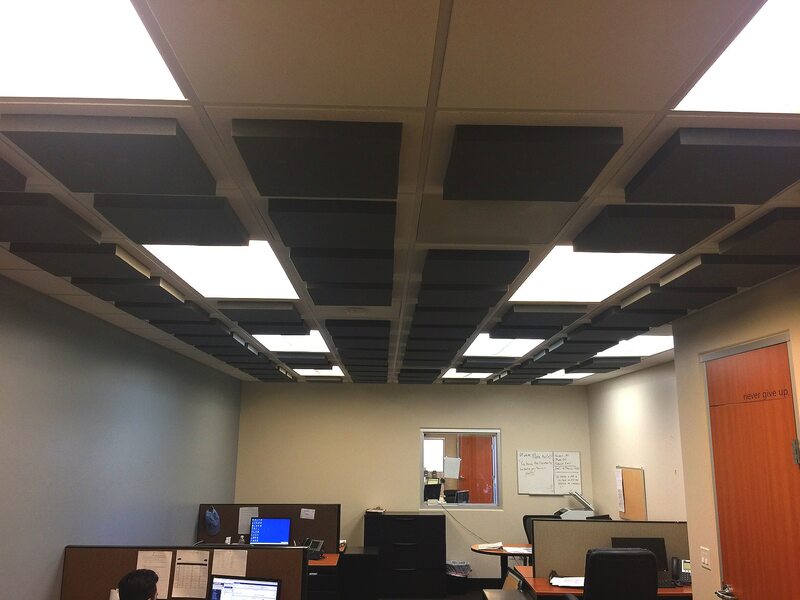 Suspended ceiling tiles are typically compressed powders and fabrics. 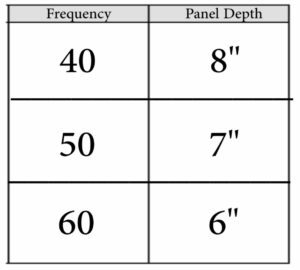 There thickness is at 1/2″ so between the tile composition and the small thickness, absorbent coefficients below 500 Hz. are hard to come by. Frequencies below 500 Hz. are where our vocals lie in frequency response. In fact, male human vocals can start as low as 100 Hz. 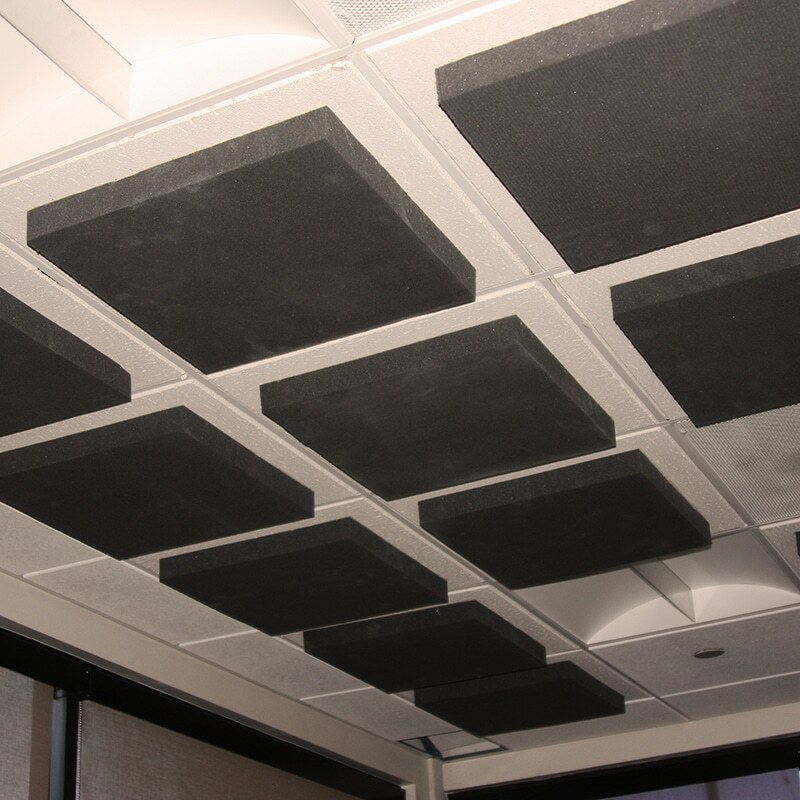 This is the reason why a standard ceiling tile provides little assistance when you get a room full of people. all the way up to 1,000 Hz. so your vocals are smooth and not over absorbed/deadened. 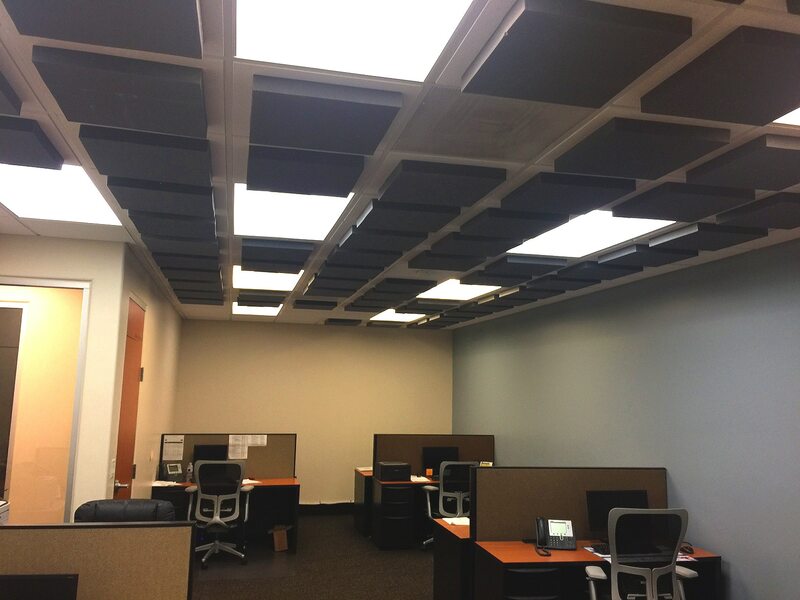 24" x 24", 24" x 48"
Our carbon technology is now available for use in small rooms that don’t have the physical space requirements for our ACDA series to absorb lower frequency energy. Our carbon technology that has become so popular with our low-frequency product line is now available in panels that are not as deep as our ACDA units. With the same smooth frequency response starting at 40 – 60 Hz. and going through 6,500 Hz. 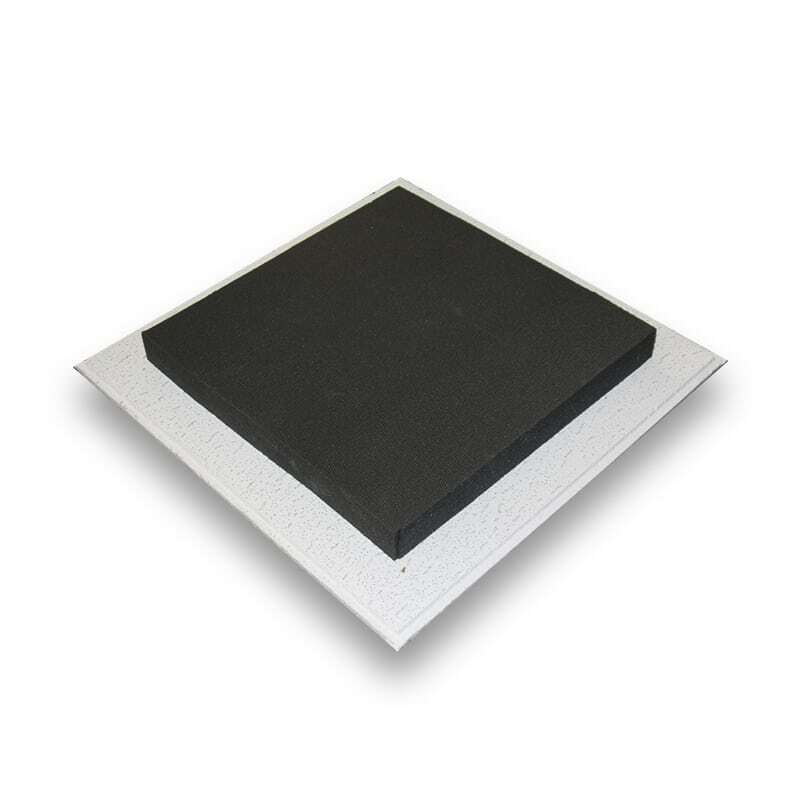 it is a smooth low-frequency absorbing tool for absorbing unwanted low-frequency energy along the boundary surfaces in small rooms. At a maximum depth of 8″, it won’t take up much wall space and gives you lower frequency absorption down to 40 Hz. With carbon technology, you achieve a smooth absorption curve that is smooth in rate and level with a special quality of clarity that is not offered with foam or other absorption technologies especially the building insulation types that dominate the industry. 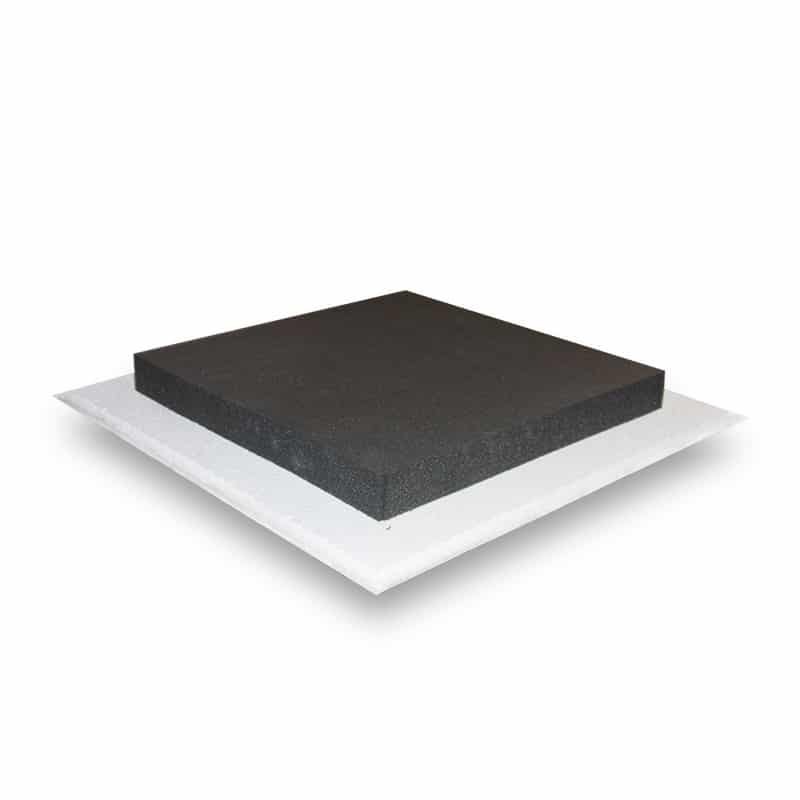 If you are looking for a more natural rate and level of absorption that does not over absorb at certain frequencies and under absorbing at others, our carbon and foam technologies will give you that linearity you need. Our 24″ w x 6″- 8″ h x 55″ l unit is finished in a painted or wood case and your choice of wood and fabric color and texture are available. Units weigh 75 lbs and are designed to be hung on a wall just like a picture would be. 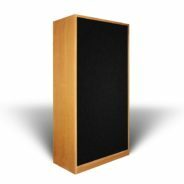 The ACDA -10 STUDIO has the same performance as the wood or paint finished units that sell for 1,350.00. 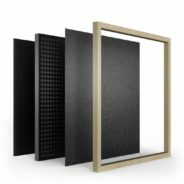 Costs are managed by sealing the exterior finish with a moisture proof barrier. The side walls have been widened to allow for more gripping space to hold on to as you move the units around in your studio. 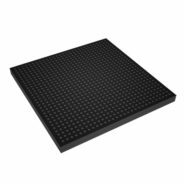 With the broadband absorption provided by the carbon technology and middle and higher frequency absorption created with our foam technology on the face of each unit, you now have an acoustical absorption tool for your studio that starts at 30 Hz and moves through 6,300 Hz. with an average low frequency absorption coefficient of 25 %. The ACDA-10 STUDIO unit can be placed around drums to lower pressure levels and allow for more detailed energy to be heard at the microphone position. They can also be positioned on each side of your console which is a common high pressure are in today’s smaller control rooms. Units measure 30″ w x 60″ h x 16″ d and weigh 150 lbs. 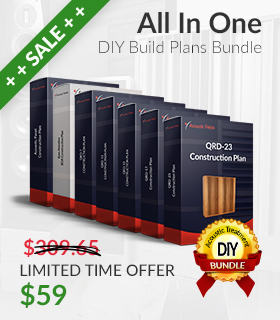 Units are shipped on a pallet and delivered to your studio. You can choose a fabric fave or just leave the unit with its foam face.